Losing a limb is going to change your life forever. But you can make sure your financial wellbeing doesn’t suffer by teaming up with a Spokane amputation attorney. Well under 1 percent of Americans live with an amputated limb, although this figure is expected to more than double by 2050. As more people experience the loss of a limb, there are more instances of accidents being responsible for amputations. Car accidents, work accidents, recreational accidents, medical accidents, and accidents involving consumer goods have all caused amputations in recent years. 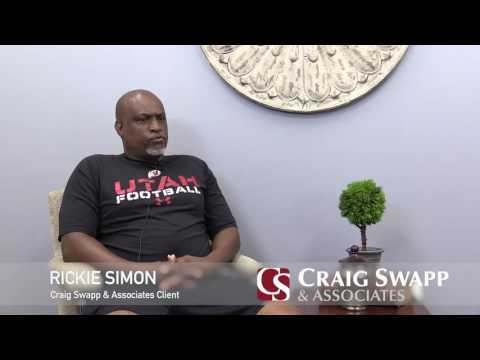 To identify the parties responsible for your accident, which will allow you to pursue the damages you deserve, reach out to a Spokane amputation lawyer at Craig Swapp & Associates. What Can Lead to an Amputation? The causes of amputation are quite varied, which is only further complicated by the fact that an amputation can affect any limb, including a finger, toe, leg, hand, or arm. Whether it was an irresponsible physician or a driver who contributed to your lost limb, you may have a valid legal claim as long as you can prove negligence. Your injury claim should document not only the fact that you have an amputated limb, but the various ways in which your limb loss has negatively affected your life. These losses are known as damages. Examples of losses include medical expenses, lost wages or earning potential, disfigurement and scarring, pain and suffering, emotional distress, loss of consortium, and worsened quality of life. Because many victims of limb loss fail to account for the full duration of their disability, we advise you to work with a Spokane limb loss lawyer who will know how to account for and calculate all your future expenses. Should your amputation have been caused by the actions of someone else, you may want to consider filing a personal injury lawsuit against that individual or entity. It’s important to note that the state of Washington uses a standard called contributory negligence to determine liability in personal injury suits. In effect, contributory negligence enables Spokane amputation victims to recover at least some compensation from other parties, as long as the victim was not purely responsible for the accident that led to their limb loss. Amputees who receive a favorable verdict from a jury are generally entitled to damages proportional to the level of fault carried by other parties. That means that, if you’re 30 percent responsible for your lost limb, you might still be able to recover 70 percent of potential damages. In addition, victims will want to keep in mind Washington’s statute of limitations for personal injury cases, which is three years. This means you will be given three years from the date of your accident to file a lawsuit. Amputation victims quickly come to realize that they must make dramatic changes to adapt to their life, but those adaptations don’t need to be of a financial nature. To get the compensation you deserve for your amputation, contact an attorney at Craig Swapp & Associates as soon as you can. Call us at 1-800-404-9000 or get in touch via the online contact form below to schedule a free meeting with a Spokane amputation lawyer.